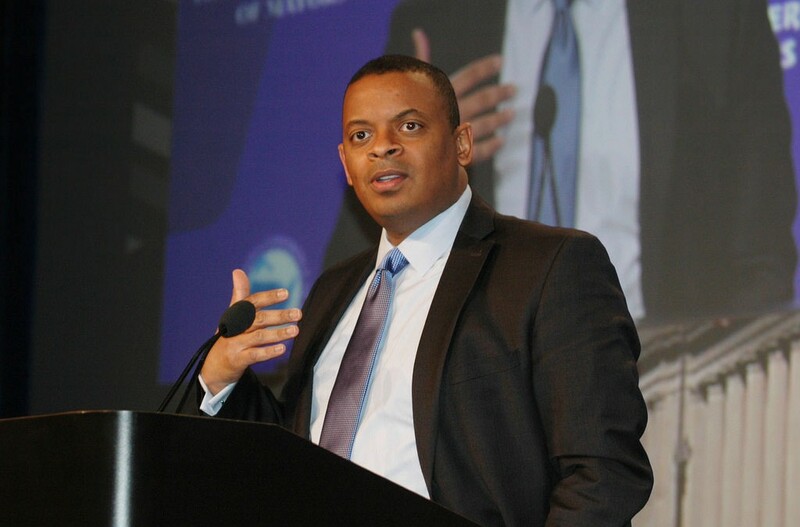 ARTBA hosted a special April 17 conference call for its leaders with U.S. Secretary of Transportation Anthony Foxx to discuss federal surface transportation reauthorization and funding. Secretary Foxx spoke to members of ARTBA’s Board of Directors and Council of State Executives as he conducted a multi-state bus trip to promote the Obama Administration’s proposal for new investment. The secretary told participants that the Administration planned to send its version of a reauthorization bill to Congress within the next several weeks, and underscored that it would include $300 billion of investment over four years, as previously reported. The additional revenue needed for this level of investment would be generated through corporate tax reform. He also noted DOTs in some states he had visited on his tour had expressed their intention to slow down or cut back on new projects in coming months due to the uncertainty in federal funding. ARTBA President & CEO Pete Ruane, who moderated the call, thanked Secretary Foxx for his efforts to raise awareness of the federal Highway Trust Fund’s looming insolvency problem. To hear a recording of the conference call (approximately 30 minutes), visit: http://www.artba.org/mediafiles/conferenceaudio.mp3.